The results are in….tutti frutti productions scores 9.9 out of 10 from young reviewer! On Thursday 21st June a couple people from each class came to the theatre to watch Keepy Uppy and write a review about it. There were 3 people included in the play. And it was very funny and active throughout the whole play. And at the start of the play Julian introduced us all to the amazing actors. 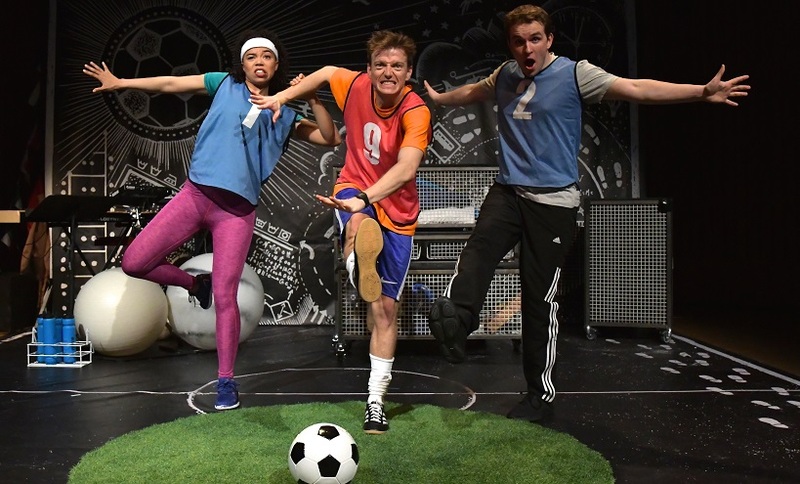 The play was about a boy who had to go to a football match but the boys’ brother did not wash his team mates’ kit so they had to go to the laundrette and they had to go to even more places but I am not going to spoil it in case you want to watch it. I enjoyed the part where they were all dancing around and having fun because it was very energetic and active. I also liked the part where the kit turned pink in the laundrette it was really funny. And finally where they had to use carrots instead of oranges. I do not think that anything could be improved because it was all on point and none of them forgot their lines which was fantastic because they had only been practicing for 4 weeks. That is great!! I would recommend it to my friends and also my brothers because I think they would love watching it and my brothers like football so I think they would like the show that we watched at the theatre. And I would rate it a 9.9 out of 10 because it was astonishing in every way possible. If you have seen Keepy Uppy or any of our shows you can leave us a review on Facebook, Google, Twitter or send us an email to sophie@tutti-frutti.org.uk.